A little added attention to skin can make a person more confident of his or her appearance and make the most of the care taken for other parts of the body. If you find those blemishes, and scaly texture on your face in the mirror, you are not alone. Up to 50 percent of men and women have some kind of skin problems - major or minor. Some are due to harsh chemical exposure and others are due to environment or age related factors. Some have facial skin with layers and layers of dirt that do not normally slough off, leaving dead skin to pileup around the hair follicles and make the skin look its worst. Ormedic Facial Cleanser is a genie in a jar that can smooth away those dead-skin layers, helping by exfoliating the skin in a gentle manner without causing rashes or any type of adverse reaction. Ormedic Facial Cleanser contains Aloe Barbadensis leaf extract, olive oil, carboxylate, Japanese green tea extract, Aryna Sativa and other naturally found herbs and roots in a balanced proportion. Clearly, some of the profound effects of using these naturally found elements are the ability to heal skin conditions, rejuvenate the texture and make the overall face look smooth and young. Daily routine, a busy life and stress can rob people of their chance to pay attention to their face on a daily basis, and Ormedic has been proven to be a boon to them. It doesn't take much time to use this product; just apply a small amount of the cleanser on the damp face, massage for about one minute until lather is formed, rinse the face with cold water and you are ready for the day. The organic tea extract and chamomile in the cleanser is very useful to remove makeup and impurities anytime. These ingredients balance the skin's PH level, leaving the skin soft and hydrated throughout the day. While it can be frustrating, some degree of blotchiness of skin is normal accompaniment of aging. It can be a subtle change as early as 25, and gradually become more apparent as time wears on to 50 and beyond. These common skin changes are referred collectively as age-related skin problems. Some people, however, experience more severe skin conditions such as loss of moisture, black marks, dryness and itching of skin. These can also have a significant impact on their personal as well as professional quality of life and all too often cause them embarrassment when in public. While such forms of skin problems are not normal, they are becoming more common today, especially in people who are often exposed to sun. Ormedic Facial Cleanser acts as a protective mask against sun damage and other environment-related skin problems. For many of us, just a few simple modifications by regular use of this product can make a world of difference. This facial cleanser is regarded one of the safest herbal-enhanced cleansing products available for promoting the skin's natural elasticity. An extra reason, beyond the obvious, for trying this product; it is available in a 5 pack of sample sizes. Not only are samples a great value, but they make absolutely great stocking stuffers. Plus, when your girlfriends notice how awesome your skin is looking, you can become the soul of generosity and bestow a sample, like a BFF should. 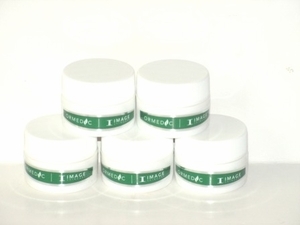 Image Skin Care, the maker of Ormedic Facial cleanser, is a well respected maker of quality skin care products. Check out the wide range of Image skincare products available here at Skincare Solutions Store, and notice that quite a few other Image products are also available in sample packs, and professional sizes, both of which are a super value.